The 5 Strangest Places To Visit From Ripley's Century Of Strange! The 5 Strangest Places To Visit From Ripley’s Century Of Strange! One tower looks like a computer glitch in a virtual world. 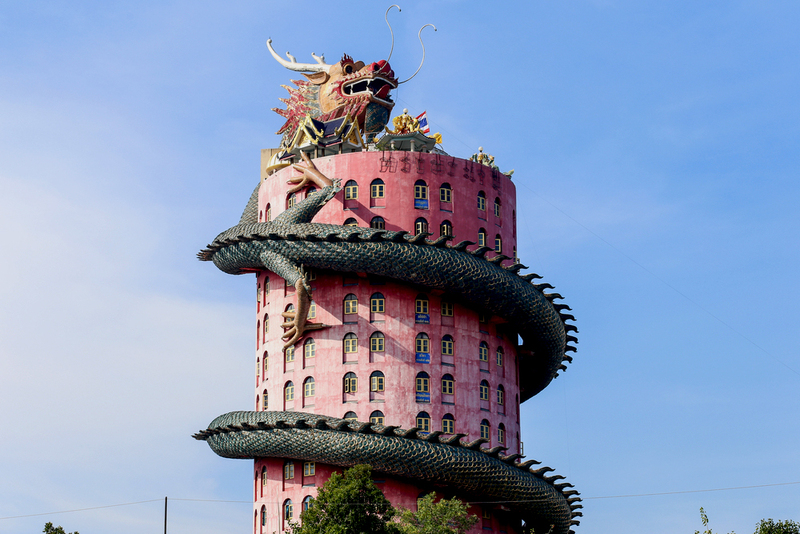 Travel off the beaten path in Khlong Mai, Thailand, and you might stumble upon the Wat Samphran Temple—a cylindrical 17-story tower surrounded by a massive dragon. The shocking pink building is filled with shrines and even includes an entrance into the hollow body of the dragon itself! The temple’s history and meaning are shrouded in mystery, but people visit from all over the world to climb to the top and touch the dragon’s beard. 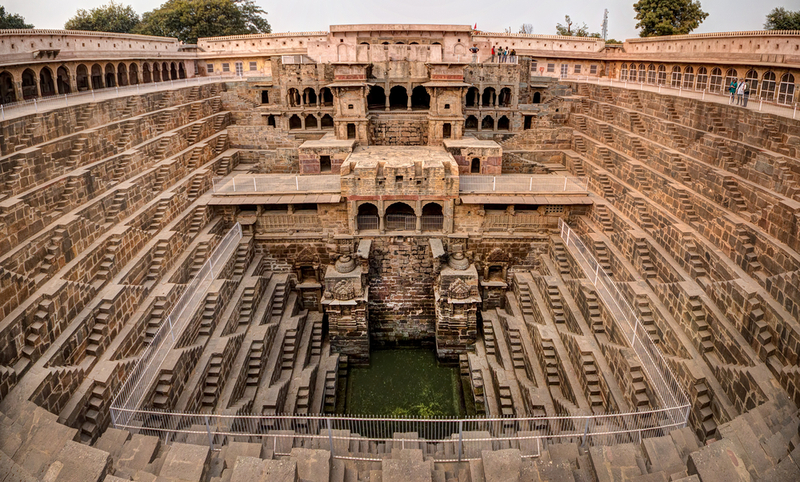 There are 3,500 symmetrical steps leading 13 levels deep into the Chand Baori stepwell in Rajasthan, India. The famous structure was built more than 1,000 years ago as a way to collect precious water during monsoons, which was in short supply during the hot summers. Thousands of stepwells were built between the first and fifteenth centuries, but they have fallen out of use with technological advances. Luckily, some of the most impressive, like Chand Baori, have been preserved and can still be visited today. 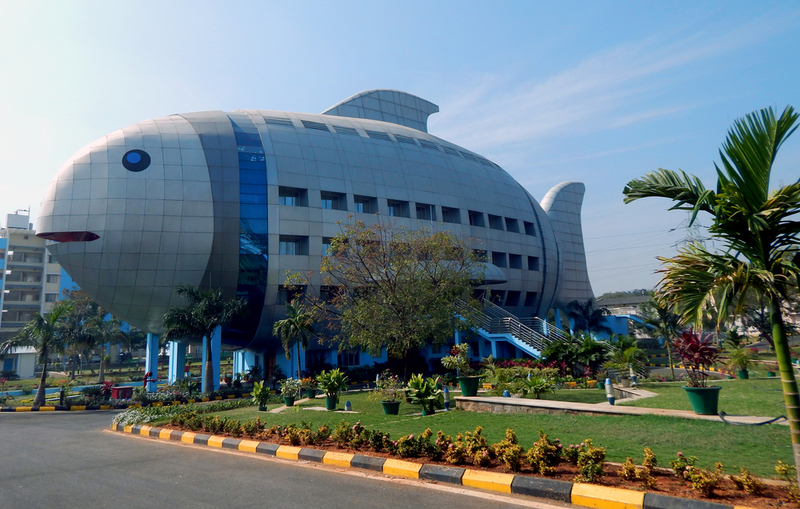 Anyone trying to find the National Fisheries Development Board in Hyderabad, India, need only look for a giant fish. The four-story building is lit up by blue spotlights at night, making it appear as though it is swimming through the city. For the past 20 years, 78-year-old Song Peilun has been building a 50‑acre (20-hectare) stone castle in a secluded valley outside Guiyang, China. 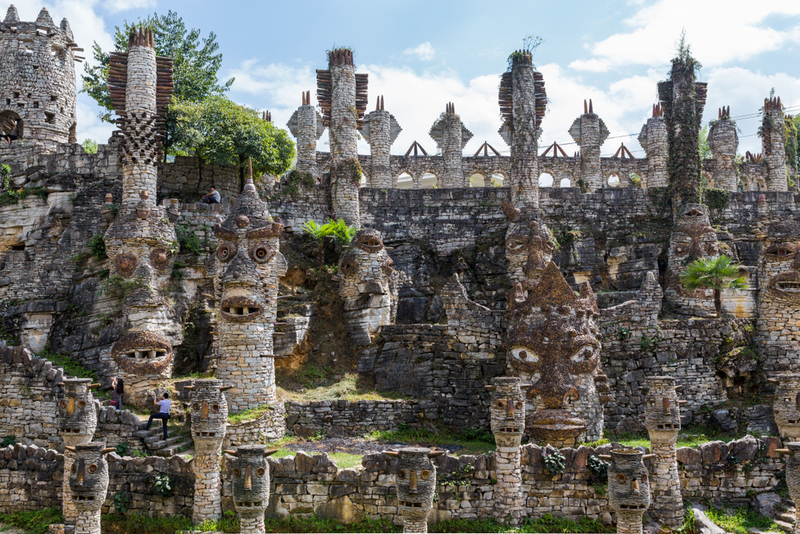 The professor-turned-artist quit his day job in 1996, devoting all his time to creating the exotic stone statues and pillars that make the massive castle such a standout. 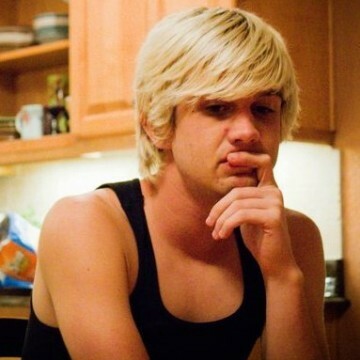 Song was inspired by the Crazy Horse monument in South Dakota and decided he wanted to honor the minority Nuo culture of southwest China in the artistic design of the castle. 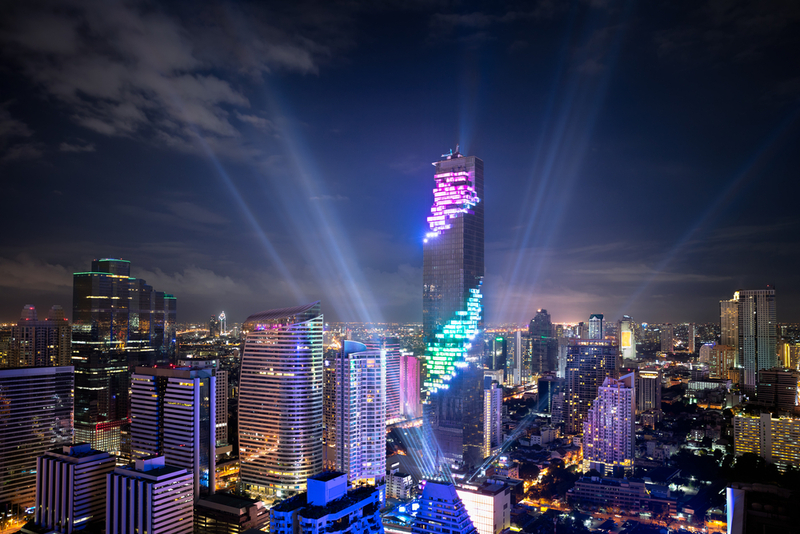 The MahaNakhon skyscraper in Bangkok, Thailand, looks like a computer glitch in a virtual world. The pixelated look is achieved with “sky boxes” that jut out of the building in seemingly random intervals. Light shows projected onto and from the building enhance its futuristic features. 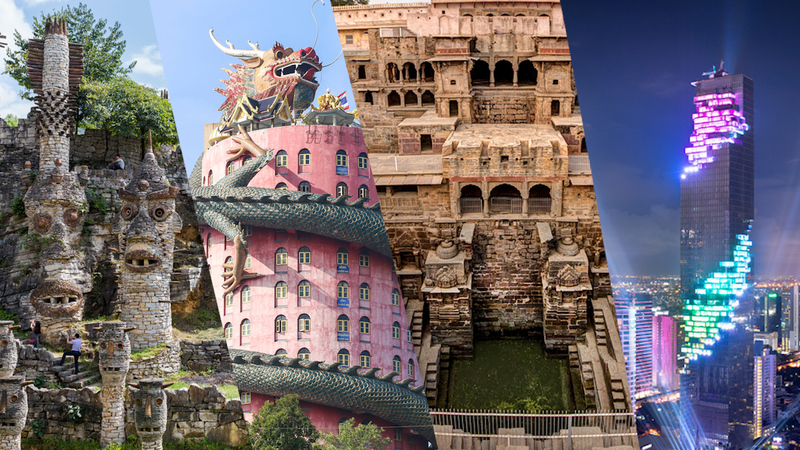 If you’re not quite ready to travel the world yourself visiting all these unique wonders, you can find them and more odd locales in our newest annual, Ripley’s Believe It or Not! A Century of Strange! Previous post Are We Facing A Redheads Extinction?